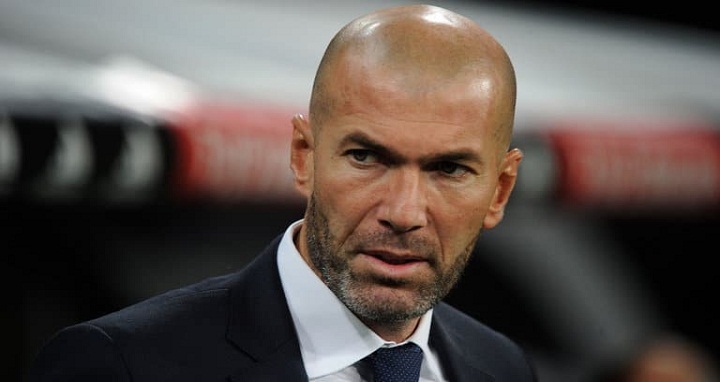 Dhaka, 7 May, Abnews: Zinedine Zidane is optimistic Cristiano Ronaldo will be fit for the Champions League final against Liverpool despite Real Madrid's star player going off injured against Barcelona on Sunday. Ronaldo appeared to sustain a knock to his ankle as he bundled home a 14th-minute equaliser for Real at the Camp Nou. The striker played on until half-time but was substituted during the interval. Real went on to secure a 2-2 draw without Ronaldo, as Gareth Bale struck in the 72nd minute after Lionel Messi's superb individual effort put 10-man Barca ahead. Sergi Roberto had been sent off at the end of the first period after Luis Suarez opened the scoring in a pulsating, and highly controversial, Clasico. But Ronaldo's injury will be the key talking point, with the Portugese now facing a fight to recover in time for the Champions League final against Liverpool on May 26. "How long he will need I cannot tell you but for him, it is a small problem," Zidane said afterwards. "We'll see tomorrow after the tests, what we have to do is see the damage done to the ankle. He is a little worried because his ankle is a bit swollen but he said it was only minor." Ronaldo's injury, coupled with Barcelona avoiding defeat despite playing half the contest with 10 men, meant it was the Catalans who left the more satisfied. Ernesto Valverde's men are now three matches away from becoming the first ever team to finish a 38-match La Liga season unbeaten. "It would have hurt to lose to Madrid, or any other team," Valverde said. "I think we are the only unbeaten team in Europe in the big leagues and that is something that pushes us." Bale's goal was his 15th in 24 games this year and the Welshman will hope it sparks a return to favour ahead of Real's European climax in Kiev. But Bale was lucky still to be on the pitch after he stabbed his studs into the back of Samuel Umtiti's calf, moments before Sergi was sent off. "Next year it will change with VAR," Zidane said. "Then we will see what a match like that will look like." Valverde added: "It was clearly a difficult match to referee. I am not sure about the red card for Sergi Roberto, he might have raised his hand but I do not think it was worthy of a red, maybe because I know him." The thrilling nature of the match meant Andres Iniesta's last Clasico before leaving Barcelona at the end of the season was reduced to a footnote. The Spaniard went off to a standing ovation in the second half. "I am doing everything possible so I can play these last few games and try to absorb them," Iniesta told Barca TV.